Personally I think that if I were going to monetize my blog at this point and time, I would probably try corporate sponsorships and partnerships. I think that would probably the only way that I would see any revenue at all. Donations, affiliate adds, and selling products and e-books have more focused niches for much more experienced bloggers; I don’t have a product I’m selling, I’m just trying to help out the food allergy community with some new recipes. Appearances matter, regardless of where you art, what you’re doing, and whether it’s online or in the real world. We might not think of it, whether because we think it doesn’t matter or because we just have no idea how to do it, but the way our blog posts look can really affect your success as a blogger. Think about the different websites you frequent when you’re online shopping. I know personally, that I have certain companies I love to shop from, mainly because their website it just so user-friendly and overall awesome. Other websites deter me in that they are too confusing, or just not easy to navigate. Same goes for blogging and news articles. Too much text makes a reader not want to read the whole thing, while photos help to engage the reader and offer an alternative way of absorbing the information. These things are very important, and with our basic WordPress sites it can be a bit complicated to figure out. We are limited in what we can customize, including fonts, colors and just the overall appearance. So it’s important to fix and be creative with what we can. Use photos often, and make them pretty photos that are as high quality as possible. Change up the layout, use a header, categorize your posts and always keep your readers in mind. If you wouldn’t want to read it then why would anyone else? In terms of creative commons, this article brought up a very interesting point. Text is text, but magazines and newspapers aren’t just text. There are people whose job it is just to layout the page so that it looks appealing, and so that it isn’t just a page of boring black and white text. Context is also very important. A story accompanied by a photograph helps to better tell that story, but also helps to better explain that photo. But if you took either one away, the story or explanation would be lacking, and not the same as it was when coupled together. Those photos are also meticulously chosen so that they are showing exactly what they want to show. Rather than just any picture of a car, but the specific car the article is discussing With Creative Commons, the same truth can be argued for. Creative Commons limits users in what media they have access to. If you are looking for a very specific picture of an african american man, wearing a black top hat, smoking a cigarette while walking his dog in the middle of Times Square, chances are you won’t find that on Creative Commons. Creative Commons is more for the general use. So it would be used in places where the picture you need is broad and is just a visual element for the article or blog post, rather than the focal point of the post. The same is true with music and videos found on Creative Commons. You won’t be able to be very picky when you’re looking up media on Creative Commons because not everyone needs what you need, but regardless Creative Commons is there to help. And if there’s something you need that you can’t find on the site, then you’ll just have to put in the extra work and do it yourself. Also it’s important to keep in mind that what you’re taking from Creative Commons has a different context than the context you will be giving it. 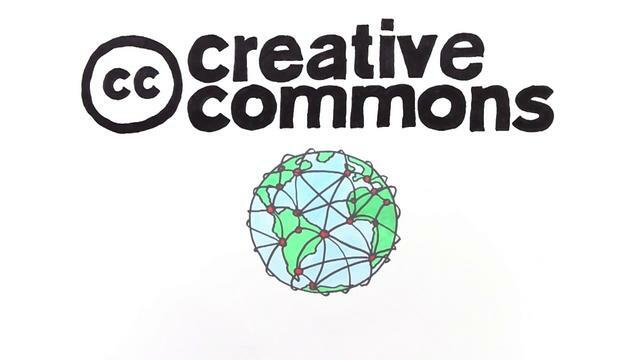 Creative Commons was created by Lawrence Lessig, a Stanford University law professor. Lessig said he created Creative Commons in order “to create a body of digital work, which he calls ‘artifacts of culture,’ for the public domain, accessible to all.” Since then, artists, writers and musicians alike have used Creative Commons to release their work, whether it be in full or just pieces, with the hopes of sharing their creations with the public. One of the problems facing artists then, that is even worse now, is the ability to get their work into the hands of their fans, for little to no cost. As is explained in the article, Chuck D and the Fine Arts Militia released their single, “No Meaning No,” through Creative Commons, and were blown away by the fan base the free release of their music created. After this success, the band then released their entire album under creative commons licensing. So then, I am left wondering, even with such a successful fan base, how is this band making money? Creative Commons allows anyone to use, edit and redistribute the material on the site. Although this is great for exposure, especially for new musicians and artists, how are these people supposed to make money? At the time this article was written, Apple Inc. had proved that people were willing to pay 99 cents to download a single song, I’m not convinced that’s the case now. I don’t remember the last time I purchased a song on iTunes or even bought a DVD. Nowadays, we can find everything for free online, though most of these are illegal versions. Think about how you consume media. Whether its music, tv shows or movies, do you always pay to listen to or watch them? The internet can be such a beautiful thing, if we allow it to be. Opposite from last week’s discussion about trolls and the hurtful things they can say to anyone they want, without even saying who they are, Creative Commons is one of the most positive places on the internet. We all know the saying, “sharing is caring” and Creative Commons capitalizes on that notion. The creator, fans and supporters of Creative Commons are all a part of this community that lets anyone access and use art for free and do whatever they want with it. These people aren’t necessarily concerned about the money, but rather care so much about the art, and their art, that they will let anyone have it for free. This really makes you think — why do we have to pay to listen to music, or to watch movies, or look at pretty pictures? Is the obsession with making money off of all of this taking away from the art itself? Regardless of where you stand on the money debate that I laid out above, Creative Commons, in my opinion, is a lifesaver for a lot of people. Just the other day I introduced my coworker to Creative Commons and she couldn’t stop thanking me. She needed music to add to the background of a video she was making, but had no idea where to get music that she could use legally. Creative Commons allows anyone to use media or art to do whatever they need, saving them time, money and a whole lot of effort.